Sure as heck are. And not only are we going to chat about one, I’ll show you how to find and participate in clinical trials. EB-1010 sounds so mysterious, doesn’t it? Well, it kind of is. It’s the development name for an antidepressant Euthymics Bioscience (EB) (Cambridge, MA, US) has in clinical trials. It’s their “lead product,” no less. Specifically, EB-1010 has begun phase 2b/3a trials in the US. It’s known as the TRIADE (Triple Reuptake Inhibitor Anti-Depressant Effects) trial (protocol number EB-1010-301). The results of the trial are expected next summer. Update: Effective September 2017, the development of EB-1010 for the treatment of major depressive disorder has been discontinued. However, it continues to be under development for the treatment of alcoholism and smoking withdrawal. EB-1010 is being developed for the treatment of major depressive disorder (MDD). It’s a serotonin-preferring triple reuptake inhibitor (TRI). In fact, that’s the only class of drugs EB develops. Simply, serotonin gets the bulk of the attention. However, norepinephrine and dopamine are influenced as well. All three neurotransmitters are addressed with specific ratios. The word on EB-1010 from its phase 2 trial is very good. It was effective in treating MDD based upon multiple standard measures of outcome. EB-1010 was also shown to improve measures of anhedonia (loss of interest in pleasurable activities) and was well tolerated – without the weight gain or sexual dysfunction associated with the most common med treatments for depression. No great secret – as many as 70% of those taking an antidepressant are non-compliant either because of missed doses or premature discontinuation. And I’m sure you know all too well that non-compliance directly correlates with side effects. EB designed EB-1010 with those realities in mind. A no-brainer here. EB-1010 was designed for those enduring major depressive disorder, for whom the SSRIs and SNRIs don’t work. That’s actually a sizable market when you consider that the SSRIs alone don’t cut it for 2/3 of the folks who use them. I’ve really never focused much on the subject of clinical trials here on chipur. But I will now. Enter TrialReach (London). So let’s say you were interested in participating in the phase 2b/3a clinical trial for EB-1010. I’m going to help you out by taking you directly to the page where you’d get started. Here’s the link. And the rest is up to you. 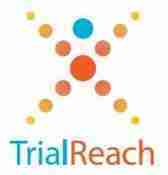 Do take the time to use the search engine on the TrialReach home page. You’ll find all sorts of good stuff. How ’bout it? 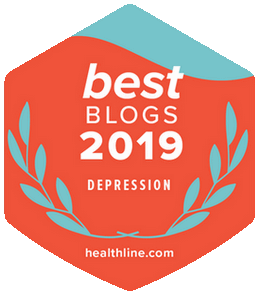 We handled two topics in one article – details of a promising antidepressant in the offing, and a cool search engine for clinical trials. 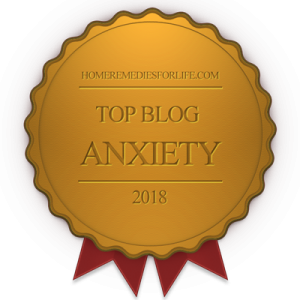 To take a look at all of the chipur articles on the biology of the mood and anxiety disorders, click here. Next Post: 5-HT1A receptor agonists relieve depression and anxiety. Great! What are they? Previous Post: Fatigue and Depression: Is It Chronic Fatigue Syndrome?